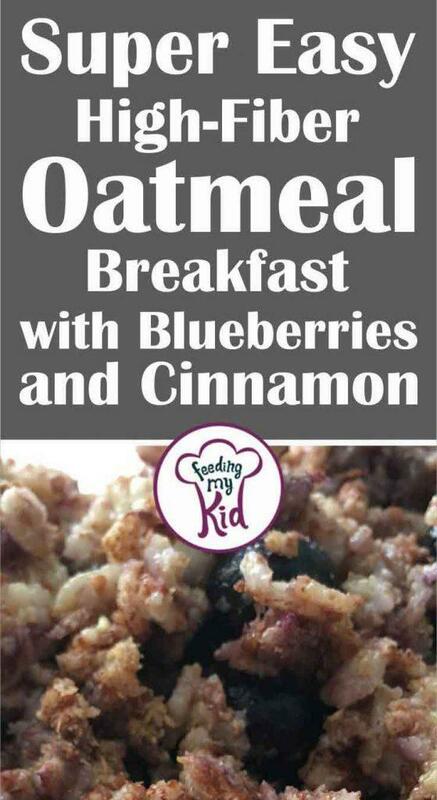 This blueberry oatmeal recipe is so easy to make. It’s loaded with fiber, antioxidants, complex carbs for sustainable energy, bananas, blueberries, and cinnamon to help with cravings. 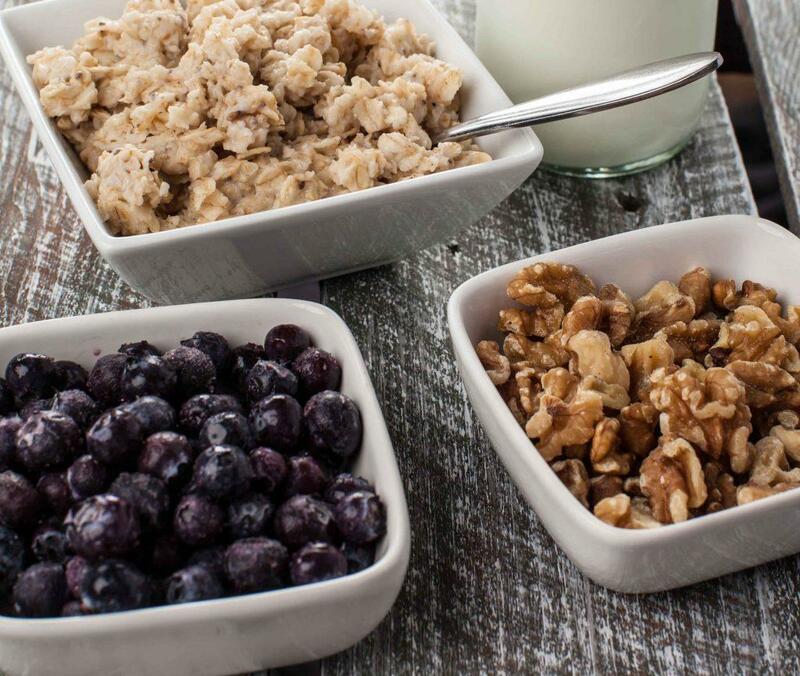 Pre-made breakfast foods can be some of the unhealthiest foods since they’re often filled with added sugars, low in fiber and nutrients, and loaded with empty calories. It’s not a great way to start your day! This recipe is loaded with complex carbs (old fashioned rolled oats), cinnamon, flaxseed, blueberries, and banana. Old-Fashioned Rolled Oats: The oatmeal is a complex carb so it will take longer to digest and will provide sustained energy; this will help your kids in school as they’ll be able to concentrate longer! Plus, oats are high in beta-glucans that can stimulate the immune system. Oats are high in protein, healthy fats, and contain more soluble fiber than any other grain. Plus, they are gluten-free too. Flaxseed: These little seeds are a food powerhouse! They are loaded with “good” fats, omega-3’s, which have heart healthy benefits. Plus, they’re loaded with fiber, both insoluble and soluble fiber! Cinnamon helps with cravings so your child may not crave another snack before lunch, which would generally be filled with empty calories. Make sure you buy Ceylon cinnamon. I just learned that the health benefits of cinnamon come from Ceylon cinnamon, also known as “true cinnamon” and not the one that just says “cinnamon” at the grocery store. Who knew? I buy it by the pound to make it more affordable. True cinnamon has anti-inflammatory properties, and it’s loaded with antioxidants, plus numerous other benefits. Blueberries are loaded with antioxidants. Blueberries have fiber, potassium, folate, vitamin B6, vitamin C, and phytonutrient content. Bananas are loaded with potassium, vitamin B6, vitamin C, magnesium, copper, magnesium, protein, and fiber. Other add-ins: You can add in walnuts, almonds, cashews, chia seeds and so many other add-ins. Mix and match for a little variety each time! Change up the fruit based on what is in-season. Most kids are deficient in micronutrients. Let’s change that together! Watch this video to find out why you should be changing what your kids eat for breakfast. Children consume half of daily sugar quota at breakfast – study. 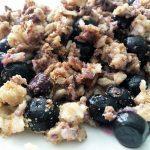 This blueberry oatmeal recipe is so easy to make. It's loaded with fiber, antioxidants, complex carbs for sustainable energy, bananas, blueberries, and cinnamon to help with cravings. Boil water, add rolled oats and turn down heat to low. Mix a few times as the water cooks out and is absorbed. No need to overcook the old fashioned rolled oats. On a plate, mash up a banana and add your flaxseed, and blueberries. Add your oatmeal to your dish and mix in your cinnamon.